Let me just point out that I’m not a Human Resources professional but I do deal with the symptoms of HR. When I walk into any business, I look to see what fits the brand and what doesn’t – this includes it’s people. If it’s a client I’m working with I’ll seek to find out the reasons why people seem disengaged. I’ve worked in scores of businesses where I could easily see the person who sticks out and doesn’t want to be there or simply doesn’t fit. A person with multiple face piercings might have lots of skills but is more suited to a vibrant edgy type of company than they would be as the concierge at Qantas Lounge. Someone who is too uptight doesn’t fit well with a company that’s meant to be young, free and on the edge. 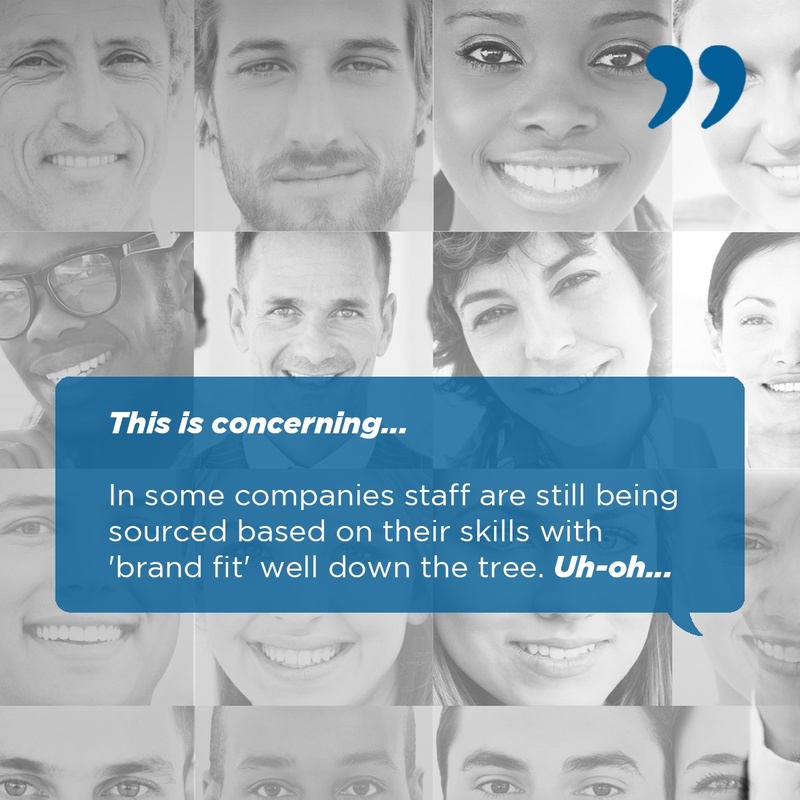 It sounds simple, yet staff are still being sourced based on their skills with ‘brand fit’ well down the tree. For some staff, it just takes a bit of collaboration to help them find their groove. For others they just won’t ever fit. They don’t think the same, they don’t share the same values or present themselves in a way that fits the brand. Because of this disconnect, they will rarely feel purpose in what they do nor be passionately engaged in their role. One such incident that I’m aware of nearly meant a new employee who ended up becoming a superstar for their company never made the shortlist by the outsourced HR company. Those presented as finalists for the vacant position had skills but didn’t fit well to the brand. Other than for a twist of fate, this superstar would never have been found. So how do we stop this before it happens? 1. Human resources and employment agencies should consider more than just skills as a qualifier. Many don’t, so ensure they are proactively interested in your company’s values, the ‘bigger picture’ purpose of the role and the personality of your brand. If they aren’t proactive in asking this, they probably don’t understand it. 2. The brand foundations should be clearly conveyed in the position vacant ad and articulated to ensure you get interest from the people who relate to what you do. 3. Ensure your HR department or HR company is fully aware of the attitude you seek to fit your brand. 4. During the interview process ask how much the candidate knows about your company, this will show their natural level of interest. 5. Ensure the criteria includes skills, strengths and personality traits. Maybe even ask them what kind of car they drive. 6. The ad must be written in such a way that it’s a promotion for your brand as well. There are some things that should be kept private like ‘be a persuasive seller’. If the customer wouldn’t like it, then don’t put it in there! 7. Learn more about what your small business may need to change to ensure your brand message is on point in all facets of your business, download our free eBook ‘ 10 things small business must STOP doing NOW ‘. It takes more than just qualifications to find a good employee. Hiring the right attitude will mean they’ll be keen to learn any skills they don’t already have because they’re passionately engaged in adding value to your organisation. If you don’t get this right it doesn’t matter how well you promote the brand, your team will never naturally deliver it.